MARTIN, JOSEPH, teacher, lawyer, politician, and businessman; b. 24 Sept. 1852 in Milton, Upper Canada, son of Edward Martin, a miller, and Mary Ann Fleming; m. 2 Sept. 1881, in Ottawa, Elizabeth Jane (Eliza) Reilly (d. 1913), widow of George Washington Eaton; they had no children; d. 2 March 1923 in Vancouver. Joseph Martin went to school in Milton until 1865. That year his family moved to Michigan, where he then worked as a telegrapher. He was briefly involved with the Patrons of Husbandry, a farmers’ protest movement, before entering the Michigan State Normal School in Ypsilanti in 1872. The following year he transferred to the Normal School in Toronto, from which he was expelled in 1874 for unruly behaviour. His quarrelsome nature and his tendency to resort to his fists to settle disputes would soon earn him the nickname Fighting Joe. Suspicious in nature and with a capacity for pettiness, he would be known throughout his career for his feisty, combative spirit. He would also demonstrate considerable eagerness to advance his own interests. After his expulsion, Martin taught school in Ottawa for three years on a second-class certificate; there he embraced liberalism and developed strong anti-French sentiments. In 1877 he entered the University of Toronto, but he left two years later without a degree. On his return to Ottawa, he began his articles for law. In 1881 he married Eliza Eaton and became a stepfather to her young daughter, Irma Livingstone Eaton. His additional responsibilities prompted him to make a new beginning in Manitoba. In late 1881 he arrived with his family in Winnipeg, but thinking that Portage la Prairie held out more immediate prospects, they moved there early in 1882. Martin was admitted to the Manitoba bar late in the summer. He established a successful legal practice and took an articling student, Smith Curtis, who would later become his partner. A prominent figure, Martin was soon drawn into provincial politics as part of the growing opposition to Premier John Norquay*. In January 1883 Martin contested Portage la Prairie as a supporter of Thomas Greenway*’s Provincial Rights party, which would form the nucleus of the provincial Liberal party shortly after the election. He won narrowly, but the results were overturned. Successful in the by-election of May 1883, he would hold the seat until 1891. His feistiness made him effective in opposition; he was a skilful debater with a biting wit. 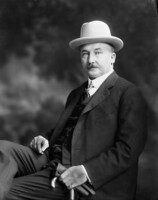 He took a leading role in the assembly, criticizing Norquay and the Canadian Pacific Railway’s monopoly in the west. His attacks became harsher as Prime Minister Sir John A. Macdonald* began to disallow railway charters that had been passed by the provincial legislature. On 19 Jan. 1888 Greenway formed the first frankly party government in the province. Martin was installed as attorney general and commissioner of railways. When the CPR abandoned its monopoly a few months later, Greenway seized the credit and the occasion to call a general election for July; he won a smashing victory. Pressure was now on the new ministry to provide an alternative to the CPR. Martin and Greenway had few choices. They opted later that month to sell the unfinished Red River Valley Railway to American railway builder Henry Villard, who would complete the line to Winnipeg and link it to his Northern Pacific Railroad. The unsatisfactory deal irritated Winnipeg Liberals who had promoted another railway, disappointed farmers who had expected more substantial rate reductions, and might have created considerable political difficulty for Martin and his colleagues if the Manitoba school question had not intervened. Historians have speculated that the controversial school legislation was intended to distract voters from the unpopular railway agreement. Although Martin was only one of several key figures in the school question, he played a role that was typically provocative. At a public meeting in Portage la Prairie on 5 Aug. 1889 he followed Ontario mp D’Alton McCarthy*’s attack on Quebec and French-language rights with an excited announcement that the Greenway government would reform the dual public school system and end government printing in French. He admitted, almost contritely, to Greenway the next day that he might have been carried away by the occasion and by his knowledge that the Liberal caucus had already decided to act on the school matter. Greenway could have disavowed Martin’s declarations. He chose to proceed. Martin introduced the new school legislation early in 1890 and thus set in motion a political upheaval that would last over a decade. He probably benefited initially from the popularity of the measures; at the same time, however, he was under severe attack from the Manitoba Free Press for conspiring to rig land sales in Portage la Prairie, a charge he chose, perhaps wisely, to leave unanswered. In December his new school legislation faced a legal challenge from Winnipeg ratepayer John Kelly Barrett*, who refused to pay his school taxes. Martin successfully represented the interests of the provincial government when the case went before the Court of Queen’s Bench. Meanwhile, Martin’s influence in Manitoba was on the wane and his constant quarrels with local notables made him a political liability. 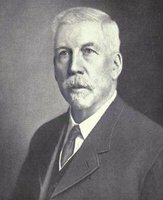 Seeking a new political arena, he resigned his provincial seat in February 1891 in order to contest Selkirk, unsuccessfully, in the federal general election of March. He regained his provincial seat in the by-election held later that month to fill the vacancy. In mid April he resigned as attorney general and went back to his law practice and to a milling business he had opened in Portage la Prairie. He represented Manitoba in the Barrett case, on appeal before the Supreme Court of Canada and in London before the Judicial Committee of the Privy Council, where the provincial legislation was upheld in a decision rendered on 30 July 1892. Surprisingly, Martin won the traditionally Conservative riding of Winnipeg in a federal by-election held in November 1893. He did not fit easily into the Liberal caucus. His free trade sentiments rubbed against the party’s increasingly flexible position on the tariff and his French Canadian colleagues resented the role he had played in the school question. Liberal leader Wilfrid Laurier* succeeded in moderating the fiery Manitoban’s slashing style. 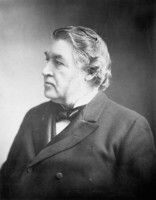 Martin took part in the long filibuster in 1896 which finally forced Conservative party leader Sir Charles Tupper* to withdraw the government’s remedial school legislation and call a general election for June. Despite the rising prospects of the Liberals, Martin lost his seat. He hoped that Laurier, now prime minister, would appoint him minister of the interior nonetheless, but Clifford Sifton, the new Liberal master of the west, was chosen and Martin, without much justification, felt he had been betrayed. In a rather extraordinary turn of events, Martin was offered a position by the CPR, probably to neutralize him. Even more curiously, he accepted and became the company’s solicitor in British Columbia. The British Columbia press did not put out a welcome mat. One editor, John Houston*, urged Manitobans to keep Martin “and send on your blizzard.” Only Hewitt Bostock’s Province (Victoria) seemed to look favourably on his coming. Martin arrived in Vancouver on 5 March 1897 and was soon in practice. His legal career was not without controversy. For example, in 1899 the benchers suspended him for a week for prosecuting in a civil suit on the understanding that if he won, he would receive part of the proceeds. This practice of champerty, which he had legalized in Manitoba, was contrary to the regulations of the Law Society of British Columbia. He pressed for its legalization and in 1901 the assembly would pass the necessary amendments to the Legal Professions Act. Martin wasted little time in getting into politics. British Columbians supported Liberals or Conservatives federally but eschewed party lines provincially. Until 1903 provincial governments would be loose coalitions. Candidates presented themselves as supporters of the government or the opposition. During the provincial election of 1898 Martin ran successfully in Vancouver as an opposition candidate, criticizing the government of John Herbert Turner and its links with railway and mining magnates Daniel Chase Corbin*, Frederick Augustus Heinze, and James Dunsmuir*. He initially rejected Charles Augustus Semlin’s offer of the attorney generalship, perhaps because he hoped to become leader of the new administration, but changed his mind and accepted. As attorney general and acting minister of education from 15 Aug. 1898, Martin introduced some reforms, of which the most important was the implementation of the Torrens system of land registration [see Louis William Coutlée*]. He had difficulty being a team player, however, and his propensity to change his mind made him unpredictable. His blurring of the distinction between his public and private responsibilities brought him into conflict with his legal clients and with his cabinet colleagues, especially the minister of finance, Francis Lovett Carter-Cotton*. Semlin soon lost faith in Martin. On 1 July 1899 he asked him to resign, reportedly because he had neglected departmental business to work on his own legal practice, had revealed cabinet’s private business, and, “while the worse for liquor,” had lost his temper when heckled by irate mine owners at a banquet in Rossland. Martin resigned as attorney general and “vowed vengeance” on those responsible for his overthrow, especially Carter-Cotton. Early in the next session, Martin seemed to have become reconciled with his former political foe Dunsmuir. He attacked Semlin’s government on various issues and in late February 1900, despite his promise to support a government-sponsored redistribution bill, he joined with the opposition to defeat the legislation and the Semlin administration. A few days later Lieutenant Governor Thomas Robert McInnes asked Martin to form a government; he accepted and took office on 28 February. On 1 March 1900 members dropped their usual differences and almost unanimously voted no confidence in Martin. Nevertheless he prepared his election platform. Among its most important points, he endorsed government ownership of railways and undertook to arrange for construction of the Coast-Kootenay Railway. Recognizing labour problems in the Kootenay mines, he accepted the principle of the eight-hour day. He also promised to re-enact a statute concerning Asian labour that had been disallowed by the federal government. Although the executive of the Vancouver Liberal Association quickly endorsed his policies, the executive of the provincial association unanimously opposed his premiership and the introduction of party lines. In forming his cabinet Martin attempted to appoint only Liberals. Initially, he named Smith Curtis, his old friend and former legal partner from Portage la Prairie, minister of mines, and James Stuart Yates of Victoria commissioner of both lands and public works. Neither had a seat in the assembly. As weeks passed, even some of Martin’s friends complained of his failure to complete the cabinet. 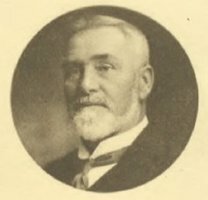 The appointment of George Washington Beebe, a Fraser valley farmer with no previous legislative experience, as provincial secretary drew little attention, but a few Liberals called the selection of another unknown, Cory Spencer Ryder, a small shopkeeper, as minister of finance and agriculture “an insult to the intelligence of the people.” As criticism of Ryder’s incompetence mounted, Martin replaced him with the more creditable John Cunningham Brown, the postmaster from New Westminster. Shortly thereafter, Martin called an election for 9 June. Despite a vigorous campaign, he and his forces were overwhelmingly defeated. He won in Vancouver, but lost in Victoria, where he had also run. Only five of his followers were elected. McInnes called on Dunsmuir to form an administration. Martin became de facto the leader of the opposition. By the spring of 1901 the press noted evidence of “extreme friendliness” between him and Dunsmuir. 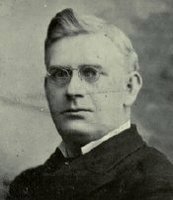 He spoke in favour of the government’s railway legislation, but dismissed as “poppycock” suggestions that he “was the guiding spirit of the administration.” Although his position within the Liberal party continued to be contested, the provincial Liberal convention of February 1902 unanimously adopted the party lines he favoured and elected him leader. As such, he claimed to be the leader of the opposition in the assembly, an assertion that led to a shoving match that same month with Conservative Richard McBride*, the other claimant to the title, over physical possession of the opposition leader’s chair in the chamber. Nevertheless, Martin continued to cooperate with the Dunsmuir government since he believed it was better than a strictly Conservative administration, which might be formed if Dunsmuir were defeated. His fears were confirmed in November when Dunsmuir resigned and was replaced by Edward Gawler Prior, a well-known Conservative. On 3 June 1903 Martin relinquished the Liberal leadership. He believed Vancouver Liberals were planning to depose him. Moreover, he had just been released from hospital after a painful operation on his leg (a childhood injury had left him with a slight limp). For him, the loss of his seat in Vancouver during the general election of 3 October was anti-climactic. The Vancouver electorate was tiring of his brand of politics; they elected a solid slate of Conservatives. The next day Martin told reporters of the Vancouver Daily Province that he had quit “for all time” because he was “disgusted with politics” and “so much abuse from my enemies and so little thanks from my friends.” The second part of the statement was probably true; the first was not. Martin turned his attention to the federal field. In 1905 he dropped his Liberal affiliation, explaining that Laurier’s attempt to impose separate schools on the new provinces of Alberta and Saskatchewan meant that the Liberals “no longer believe in provincial rights.” Like most British Columbian politicians of his day, he strongly opposed the presence of Asians. In 1908 he ran unsuccessfully as the candidate of the Asiatic Exclusion League in the federal constituency of Vancouver City. In private life, he inserted covenants on property he owned in the Hastings (Vancouver) townsite forbidding its sale or lease to Asians. Martin had retained his legal practice and continued to have a variety of clients, including the city of Vancouver which, in April 1905, had appointed him counsel at $2,500 per year. It was not a full-time job; he was consulted only in important cases. In December he resigned to become general counsel in British Columbia for the Great Northern Railroad and its subsidiary, the Vancouver, Westminster and Yukon Railway. He also presented the Vancouver Board of Trade’s case against CPR freight rates to the Board of Railway Commissioners early in 1906. Within days of arriving in Britain, Martin had secured the Liberal nomination for a by-election in Warwickshire, Stratford-on-Avon Division, where he called for abolition of the House of Lords, votes for women, a land tax, and free trade. He did not win but made such an impression that he got the Liberal nomination in St Pancras, East Division, for the general election of 1910. He won. In the British House of Commons he appears to have shown many of the same characteristics he had demonstrated in Canada. Nevertheless, he would remain a member of the house until the dissolution of the war-extended parliament in 1918. Martin did not stay in London, however. In 1914 he had returned to Vancouver and had begun attacking the provincial Liberal party, then in opposition. He ran as an independent in the provincial election of 1920 in Vancouver and lost, but not badly. In the meantime, the improving values of his real estate holdings in British Columbia had let him “redeem his promise to his constituents [in St Pancras] to return whenever he could.” By the early 1920s his health was failing. He died in Vancouver on 2 March 1923. The immediate cause of death was influenza, complicated by diabetes. Ironically, he had just begun to take the newly discovered insulin treatment. As the Victoria Daily Times noted, “The fact that during the last few years of his life he played no very active part in politics was due to no fault of his own, but rather to his sinister record as a disruptive force, which made all parties fear his support as much as his opposition.” To the end, Fighting Joe Martin remained a stormy petrel in politics. Several of Joseph Martin’s speeches have been published; a list of these can be found in CIHM, Reg. AM, GR 1662. AO, RG 80-2-0-64, no.2388; RG 80-5-0-96, no.2040. BCA, E/D/M362; VF90, frames 0006–0084. LAC, MG 26, G. Daily Colonist (Victoria), 29 May, 28 June, 5 July 1898; 2, 11 May, 6, 10 June, 4–6, 9 July, 9, 15 Aug., 6 Sept. 1899; 11 Jan., 24, 28 Feb., 2, 11 March 1900. Daily Columbian (New Westminster, B.C. ), 26–27 April 1900; 8 May, 4 Sept. 1901; 8 Feb. 1902. Daily News-Advertiser (Vancouver), 18 June, 6 July 1898; 24 Jan. 1899; 1–2, 10 March, 7 April, 4, 12–13, 18 May 1900; 5 May 1901. Manitoba Free Press, 1882–97. Province (Victoria), 31 Oct. 1896, 30 Oct. 1897; (Vancouver), 10, 21, 30 May, 15, 22, 26 June, 11, 13, 15, 18 Aug. 1898; 19 Jan., 9, 15 May, 5, 28 July, 5 Sept. 1899; 8, 16 Jan. 1900. Vancouver Daily Province, 10 Feb., 5 April, 18 May 1900; 8 Feb., 7 May, 5, 7, 16 Sept., 11, 18 Oct. 1901; 24 Feb., 22 May 1902; 17 March, 20, 23 April, 3 June, 5 Oct. 1903; 15 April, 15 Sept., 7 Dec. 1905; 5 Jan., 11 July 1906; 27 Feb., 24 March, 13 April, 3 May 1909; 24 March 1910. Vancouver News-Herald, 8 Aug. 1939. Vancouver Semi-Weekly World, 24 Sept. 1896; 24 June 1898; 2, 6 March, 4 April 1900. Vancouver Sun, 12 Feb. 1922, 3 March 1923. Victoria Daily Times, 8 Jan., 15 Feb., 2, 8 March, 6, 19 April, 6 May, 8 June 1900; 24 April 1901; 29 Aug. 1916; 31 Jan. 1917; 2 March 1923. Winnipeg Tribune, 1890–97. P. [J.] Brock, Fighting Joe Martin, founder of the Liberal party in the west: a blow-by-blow account (Toronto, 1981). Canadian men and women of the time (Morgan; 1898 and 1912). CPG, 1883–1920. Electoral hist. of B.C. D. J. Hall, Clifford Sifton (2v., Vancouver and London, 1981–85). J. A. Hilts, “The political career of Thomas Greenway” (PHD thesis, Univ. of Man., Winnipeg, 1974). J. R. Miller, “D’Alton McCarthy, equal rights, and the origins of the Manitoba school question,” CHR, 54 (1973): 369–92. P. E. Roy, A white man’s province: British Columbia politicians and Chinese and Japanese immigrants, 1858–1914 (Vancouver, 1989). Who’s who of British members of parliament . . . , ed. Michael Stanton and Stephen Lees (4v., Brighton, Eng., and Atlantic Highlands, N.J., 1976–81), 2. J. E. Rea and Patricia E. ROY, “MARTIN, JOSEPH,” in Dictionary of Canadian Biography, vol. 15, University of Toronto/Université Laval, 2003–, accessed April 21, 2019, http://www.biographi.ca/en/bio/martin_joseph_15E.html.